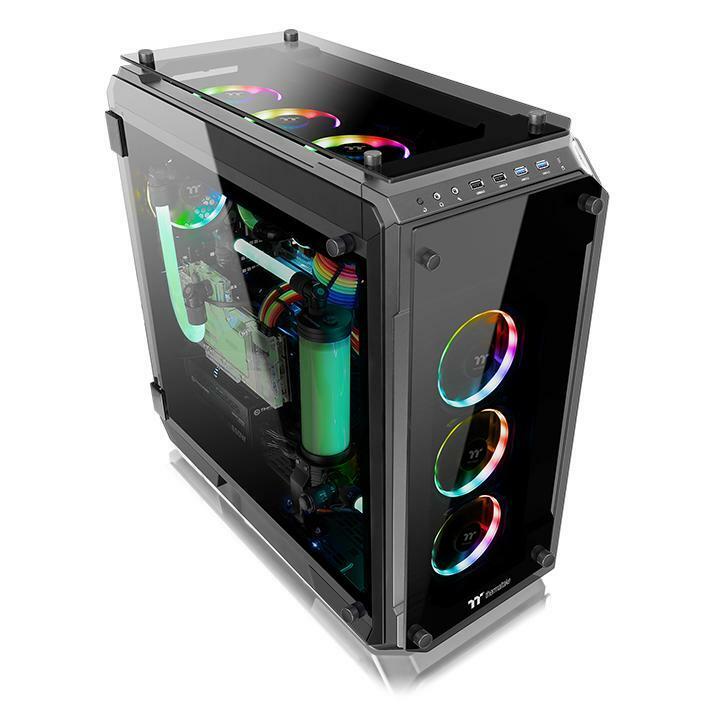 Thermaltake improves the View 71 Full-Tower chassis with tempered glass and RGB lighting featuring the same superior expandability. 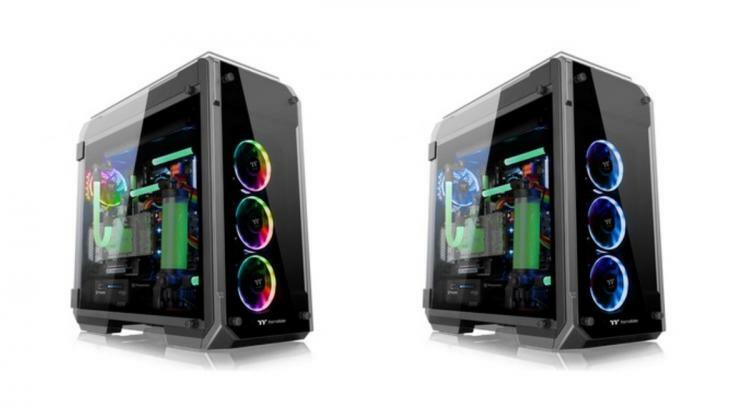 Thermaltake outs two models for the legacy View Series chassis – the View 71 TG and View 71 TG RGB. 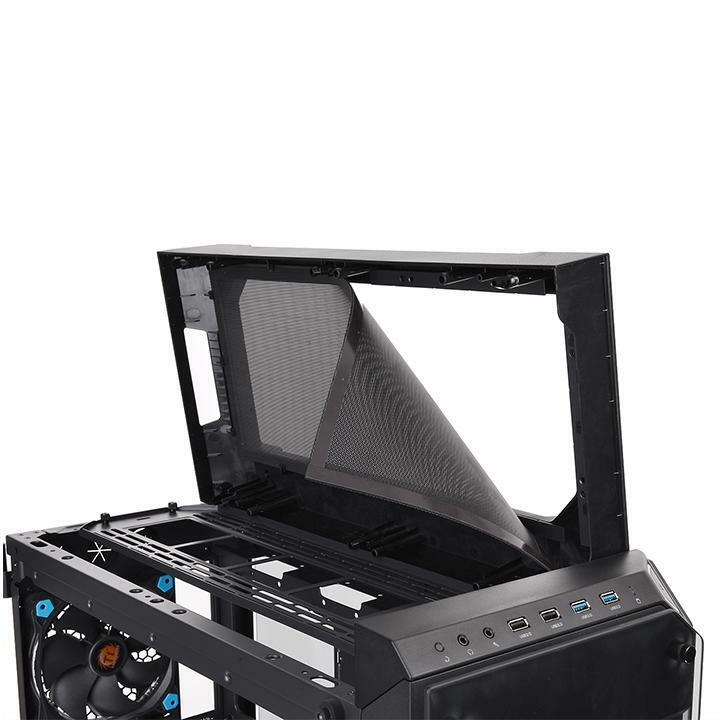 Both models feature dual swing-out side panels and enclosed in 4-side 5mm-thick tempered glass panels which are located in the front, top, left and right sides of the chassis. The View 71 TG series has a pre-installed 140mm Riing Fan; blue for TG only, RGB fan for TG RGB model. The cases from with Thermaltake’s Tt LCS certification ensuring liquid cooling compatibility and performance. Thermaltake lavishly replaced side panels with tempered glass with a classy swing door design for the left and right panels. 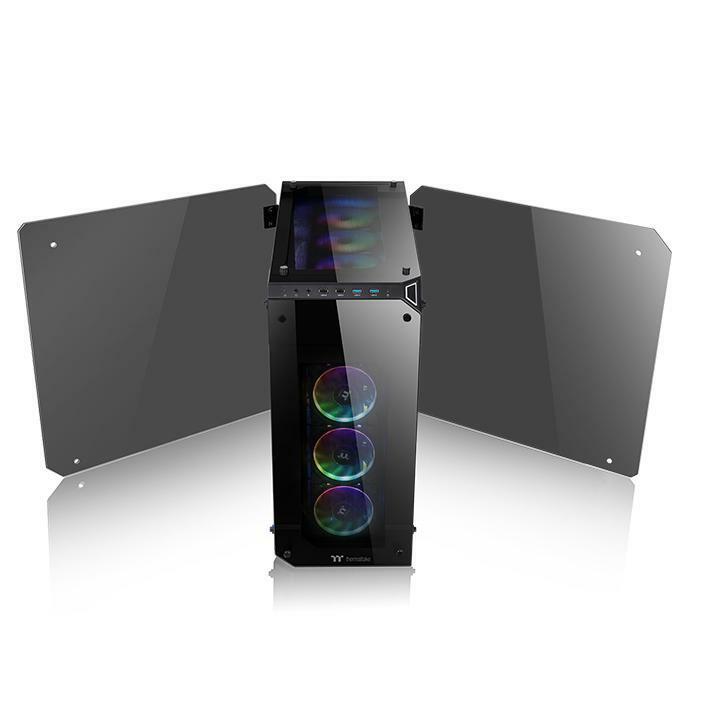 It offers a full display and greater view of the glorious PC hardware installed inside. 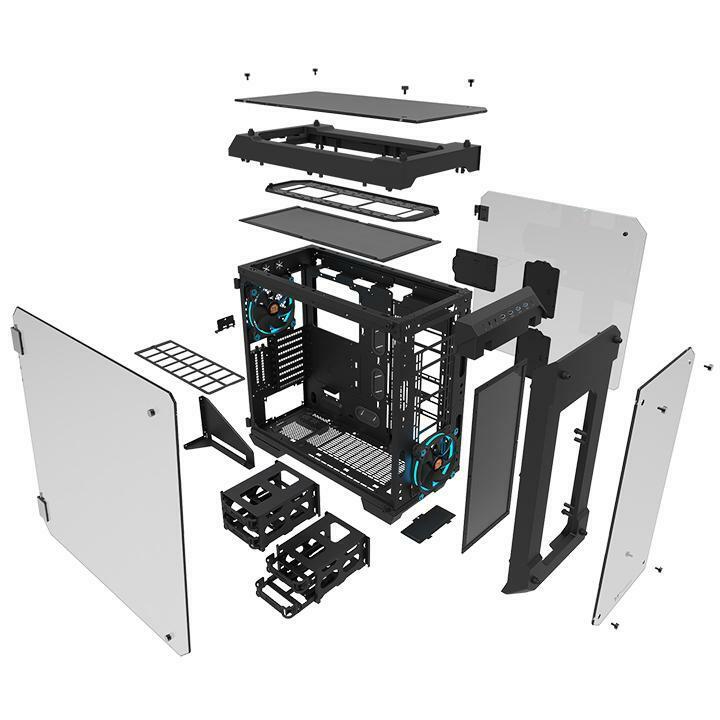 The View 21 TG full-tower cases supports up to Extended-ATX motherboard form factors, PSUs of up to 220mm in length, multiple graphics card support with orientation options and modular drive cage design for extended graphics card support. Whether it’s a mainstream or high-end desktop platform build, the View 21 TG Series can house it with ease. The View 21 TG series offer dual-orientation for single graphics card configuration wherein it can be oriented vertically or the standard horizontal mounting. 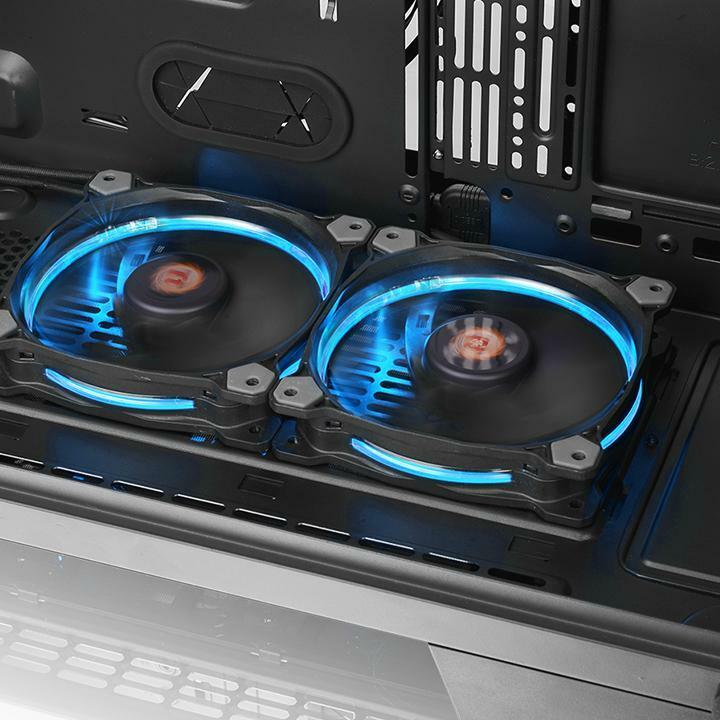 The View 21 TG Series is packed with all the required mounting systems for a complete custom liquid cooling setup with support for radiators of up to 420mm in size. The View 21 TG series features modular panels, racks, brackets, and pre-design mounting arrays with a tool-less design. Easily remove and expand depending on what you need.